A team of 48 children from Years 3-6 endured sub-zero temperatures and copious amounts of mud at this event held at the Basildon Sporting Village. We are very proud of all the children who achieved some fantastic team and individual performances. Daniel (Y4) - overall winner - well done! On 26th March the Year 3 girls and Year 4 boys have qualified for the Essex Schools Cross Country Finals, which will be held at Danbury Outdoor Centre. Good Luck! 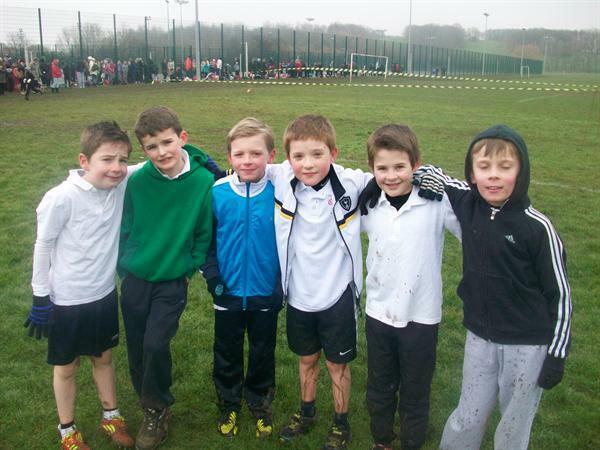 Year 4 Boys - the winning team!